Soaked in pristine natural beauty, Srisailam is a beautiful town located amidst the Nallamala Hills of Kurnool district in Andhra Pradesh. Its ideal location on the banks of River Krishna makes it all the more enchanting. 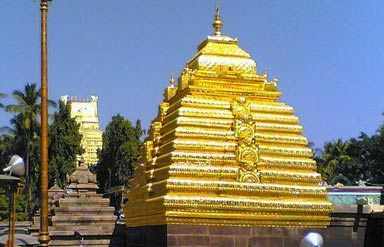 It is a holy town famous for its Srisailam Devastanam Temple which is dedicated to Lord Mallikarjuna Swamy and Bhramaramba. This temple is also one of the 12 Jyotirlingas dedicated to Lord Shiva. As you move towards the south of the town you will be greeted with the ancient hill of Srigiri. Sikharam is the highest hill in the town with the temple Sikhareswara Swamy dedicated to Lord Shiva and Lord Ganesha. 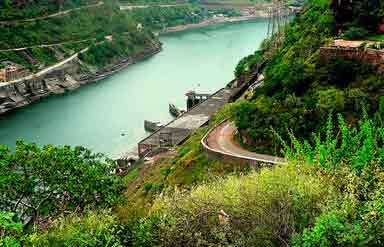 On your Srisailam tour also explore ghats, cliffs, plateau, ridges, dense forests and Srisailam dam built on the river Krishna. Dedicated to Sri Mallikarjunaswamy and his consort Bharamaramba Devi, this temple is an ancient shrine held in high respect. The lord is worshipped here in the form of a lingam. The architectural beauty of the temple deserves mention. According to the legend, the sacred bull of Lord Shiva, Vrishabha, performed penance at this place. It is also believed that the great sage Adi Shankara had also worshipped the Lord in this temple. It is a wonderful treat for wildlife lovers as it provides shelter to a variety of wildlife species such as leopard, wolf, sloth bear, gaur, Asian elephant, wild dog, Small Indian civet, barking deer, nilgai, Indian pangolin, Indian giant squirrel and langur. Wonderful avian species are also found here. Srisailam offers budget hotels and lodges. The hotels run by the Andhra Pradesh Tourism Department are also available. By Air: The nearest airport is located in Hyderabad, which is at a distance of 232 km from Srisailam. By Rail: Vinuknda(120 km), Markapur(85 km) and the Guntur-Hubli Section and Kurnool(190 km) are the nearest railway stations. 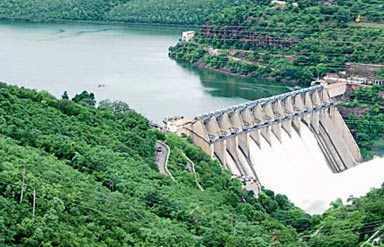 By Road: Srisailam is well connected to Hyderabad by road. 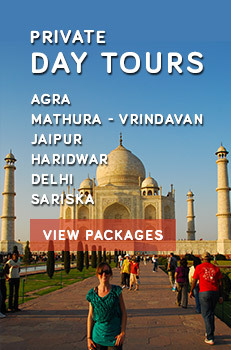 Caper Travel India offers a wide range of South India Tour Packages. For more details, send us query.